What could be nicer than finding a smiley face at the bottom of your coffee mug? How about living in a house that looks super excited to see you every time you come home? This is a simple gallery of pics of everyday things that look like they are happy. No matter what, gamers gonna game! But for a gamer to play at peak performance levels, there are certain survival essentials for quests, campaigns, and candy crushes. Behold: everything you need to survive an intense gaming sesh. Let’s face it: not everyone is perfect. Even the most charming people are guilty of at least a few negative personality traits. But which ones are the worst? Being a Student Is . . . Being a student isn’t always as easy as it sounds. Sure, there are the parties, the booze, the moving away from home and living without your parents – but there’s also a whole lot of stress, worry, studying, and exams. Drama isn’t just a human thing. As this list of GIFs proves, the animal kingdom is full of feisty creatures who have a flair for the dramatic. What are some of the most overused, mispronounced words people use to try to sound smarter? And finally, we lost a beloved comedy legend this month. Robin Williams was the face, voice, and talent of a lot of our childhoods and many people took to social media to share touching memories of him. We’ve rounded up the best tributes and would like to invite fans to vote on their favorite Robin Williams movies. R.I.P. 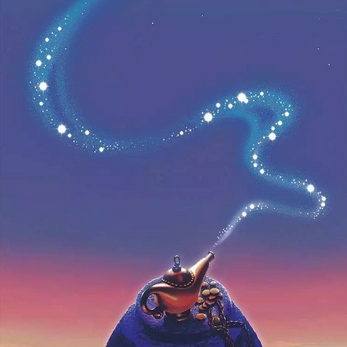 Genie. That’s it! Stay in touch and we hope you’re having a great month!